Pionus Parrot Personality, Food & Care – Pet Birds by Lafeber Co. The Pionus parrot is the best kept secret of the bird world. It’s got all of the good qualities of the popular companion species, with few of the negative aspects that often occur with parrots. Pionus parrots are all roughly between 10 and 12 inches in length and are basically the same shape, with a short, square tail like Amazon parrots; they all have a bare, fleshy eye-ring circling the entire eye; and they all have red feathers at the vent (underneath the tail). Those are the only physical characteristics Pionus share — they differ so vastly in color, it can be puzzling why the field biologists put them all in the same species. The Pionus parrot isn’t the most popular of parrots — it’s often out-flashed, out-colored, out-talked and out-numbered by many of the more commonly kept parrot species. The Pionus isn’t much like its South American cousin, the feisty Amazon parrot, though it is shaped like a smaller Amazon; the Pionus is not as talkative as an African grey parrot, though it is as quiet and devoted; the Pionus is not as vivid or flashy as the many conures, though it is the same size. So what is it about this bird that so attracts fanciers? Perhaps the reason why die-hard bird folks are fascinated with the Pionus is because it’s not the most popular avian companion — it’s special. Most people who have a Pionus (or a flock of them) don’t know too many other Pionus people unless they meet them on the Internet. The eight species of Pionus parrot are found in a wide range of South and Central America. They tend to inhabit forested areas, savannas and mountainous regions. Pionus parrots are typically good eaters. 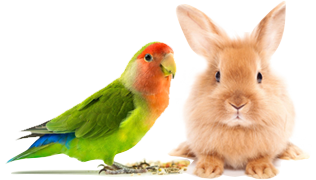 They should be offered a formulated main diet, such as Lafeber’s Premium Daily Pellets or Nutri-Berries, as well as fresh fruit and vegetables. The Pionus, in general, is known to be a quiet, easy-going, slightly-standoffish, mid-sized parrot. In truth, these descriptions are based on comparisons to the more commonly kept parrot species. Compared to the Amazon, conure and macaw, the Pionus is indeed quiet. Compared to lovebirds and African greys, it is very easy-going. Compared to cockatoos, it is a little standoffish. But Pionus lovers tell a different story — their birds are affectionate (though not complete love-sponges), quieter than other parrots (though not silent! ), and they are attentive and sweet. As with all parrots, the way a Pionus is raised by its human guardians makes the difference between a shy bird and a great companion. A Pionus owner should be ready to spend a great deal of time with their bird. In a home with other louder, more demanding birds, the Pionus may not get the attention it requires. In general, the Pionus parrots makes a great family bird, and isn’t prone to being a “one person” bird, though this varies by individual. Even though the Pionus bite isn’t as formidable as the Amazon’s or the cockatoo’s, unsupervised children shouldn’t be allowed to play with the Pionus, or any parrot for that matter. When most birds are frightened they either try to flee, bite, or they stand perfectly still. The Pionus does these things, along with another interesting survival technique – it hisses in short little bursts, almost like it’s having trouble breathing. Cockatiels make a similar noise when frightened as well. Some Pionus owners have also noted that their birds emit a sweet, musky odor. The Pionus is a change from the “everyday” parrot, quite the novelty. A Pionus parrot can live 25 to 40 years if properly cared for, so it’s not a relationship best entered into on a whim. Pionus aren’t known as the best talkers, but some individuals can garner quite an impressive vocabulary. Their “speaking voice” isn’t always crystal clear and is often a little rasping, but a guardian can generally make out what the bird is saying. Because the Pionus parrot is quiet in comparison to many other parrot species, it makes a great apartment bird. One caveat, however: the louder the household, the louder the bird. This goes for all species of parrots, Pionus included. A houseful of screaming children, barking dogs, and blaring televisions can easily teach the sedate Pionus to be noisy. Pionus parrots are susceptible to fungal infections and aspergillosis, as well as visceral gout. Pionus parrots can be prone to Vitamin-A deficiency, so consult with your avian veterinarian for ways to ensure that your Pionus parrot’s dietary needs are met. Of the eight species of Pionus, five are regularly available in the pet trade, and each has distinct subspecies, though many of those are not available in the United States. The blue-headed (Pionus menstruus); bronze-winged (Pionus chalcopterus); dusky (Pionus fuscus); Maximilian’s or scaly-headed (Pionus maximiliani); coral-billed or red-billed (Pionus sordidus); plum-crowned (Pionus tumultuosus); white-crowned or white-capped (Pionus senilis); and white-headed (Pionus seniloides) make up the Pionus family. The five most available are the Maximilian’s, dusky, blue-headed, white-capped and the bronze-winged Pionus. The blue-headed Pionus is the most commonly kept of the Pionus because it is the most visually stunning of the family, with a shocking blue head atop an emerald green body. Juveniles are mostly green, but will feather-out to their mature color after a couple of molts. The Maximilian’s Pionus is next in popularity, dull in color compared to the Blue-headed, but the largest of the pionus at twelve inches. The white-capped Pionus is next, often confused with the white-fronted Amazon, being similarly colored. The dusky and the bronze-winged Pionus aren’t easy to find in the pet trade, though they are becoming more readily available as breeders begin to take note of these birds.